The HTC One M8 is a premium smartphone, with a fully aluminum unibody, top notch specs and a premium price tag to match. But what if HTC were to release a version of the HTC One M8 with almost identical specs, but with a plastic body and reduced price tag to match? That’s what Engadget are reporting is going to happen with the HTC M8 Ace. 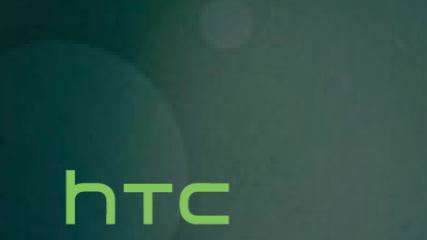 Also missing from the ‘confirmed’ feature list are details on the camera, with the HTC M8 Ace not yet confirmed to carry the Duo Camera from the HTC One M8. Although the premium feel of the HTC One (M8) is nice, it has its downsides, with the body getting a little slippery to hold at times and quite warm to the touch under certain conditions. But, a plastic chasis would certainly solve those issues quite quickly, with the added bonus that a cheaper material making up the shell of the phone would also reduce the overall retail price of the phone, with Chinese site TMTPost estimating the phone would cost ¥3,000 (Approximately AUD$518). Would you purchase a plastic HTC M8 Ace or is the aluminium unibody the main drawcard of the HTC One? Would a plastic body M8 actually solve the thermal issues of the metal bodied one, noting that when Ausdroid tested the metal bodied one, in a car, in summer, the metal bodied one became too hot to safely immediately take out of the car cradle, and actually needed to wait to cool before it could safely be removed. To generate those overall temperatures in the metal body, what would that do to the plastics of a plastic body M8? Yes, yes it would, the internal temperatures would be the same, but as plastic is not as good a conductor as aluminium, it would not have as large an effect. Basically the plastic wouldn’t heat up as much. It’s actually better to have the metal body as metal transfers heat energy much better than plastic. The heat on the metal body is allowing the heat generated internally to escape. Plastic works as an insulator and traps the heat inside the device, which would have a higher chance of damage to the internals of the phone. Feeling heat on the metal body of the device is better than all that heat being trapped on the inside of the device. So yeah, if you want a higher risk of device failure due to overheating – get the plastic model.